Live under My Precious, Most Precious Blood, My Child and do not succumb to sin. You are My delightful Child and your absence bothers My Heart so. Child, this is not the time to grow weary and weak. It is at these times when you must be strong in My Love and ripe, like a sweet fruit bearing goodness and nourishment for others. You cannot split your hours with this World and serve Me when your mind and Heart are dissolved and obsessed with what is so very temporal. Hush, Child, for you have unnecessary anger in your Heart and this is not of Me. I do not send you out into this World to condemn others. I do not or have not asked you to teach My Children. You are My Special Light. Follow Me and know your task is to abide by My Will which is Most Holy and all-knowing. Live under the Sacred and Most Precious Blood of My Son, the Lord Jesus Christ. I sent Him to this World to…defeat sins that you would join Me or come to Me for Eternal Life. Oh Children, with every sin, you pluck a thorn to press it into My Son’s suffering head. He is pained or is in so much pain for your sins. Child, it is the lukewarm who bring Him the most despair. I provide you My Blessings here on earth, but when these become more important than your prayer, how shall you face Me and explain the nature of your preferences? Children, there comes a Time when you too shall face judgment and how will each of you ascribe your actions within this Life. Are your Hearts so confident in their righteousness that you are assured a room in My Home or Kingdom? Children, do not be arrogant about your Souls. I do not abide by sin. It is abhorrent to Me and the nature of it has grown into something deadly and more terrible than in man’s past. Children, you cannot murder and maim, you cannot live in a way that defiles the beauty and balance of My Nature as I have created all things according to My Will. A man cannot lay with a beast without breaking the order of Nature. A woman cannot stay with another woman without breaking the chain of Nature. I provide each of My Children a Light within your Hearts and it guides you to Me. But sin takes you far away from Me. I call out to each of you daily, weekly, year after year. Do you hear My Call, Belovéd Children? Do you see the Love I pour or wash over you, even now as you turn away from Me? Children of My Light, pray. Prayer moves rivers to flow in new lands and drives winds to fan fires or cool peoples. Your prayers are answered in all things, but you must listen to My Voice. Children, so many of you have turned against Me and with each disregard or insult or pain inflicted, I am pushed farther and father away. You cannot deny Me, Children. You cannot deny Me without submitting yourselves to damnation, and I do all that a good Father shall to not permit this. My Belovéd Children, how much more plainly can I say this? Your Souls are in danger now, today. You spend your Time as if death will elude you. Children, not so, and in death, you too are judged. Children, prepare your Hearts. Prepare them for Me. Allow Me to make a dwelling place within your hearts. I want you in Me and Me within you. You are My Most Precious and Belovéd Children. Father, does anyone not go to Purgatory? I mean, at some point are sins too great that even someone who knows and loves You and yet decides to sin regardless, with full intention, do they get to Purgatory or do You have a strict policy on sinning too much? You say we are all saved, so how is it, or how bad must someone be before You finally get tired and condemn them to hell? There are a lot of Christians out here who do stuff and say they believe in You. How does that work? Child, it is with ignorance and pride in which these Children are living their lives. There are consequences for sin, and they are terrible. No, not every child is welcomed into the Kingdom of Heaven. So many fall away from Me and live in an eternity of pain and suffering. This is not My Will for Man, but it is what so many choose. I am saddened by this in many ways and I long for all of My Children to be with Me. But the will to Love is as strong as is the will to sin. When My Children choose sin over Love, they are lost. You cannot compromise with sin, and you must pray against it, but do not take up swords against your brothers. Your words, unless they be My Own, are powerless to change the Hearts of evil men. You are children and weak. Rely on Me, and I shall change Hearts. My Presence alone changes the Hearts of Man. Children, these things must happen and they are unhappy terrible times. The Lord God, your Father and Mighty Protector, is here always and your prayers draw Me closer to you and I cannot resist you. You are My Delights and even as I adore you, so too am I worried about the Souls of My Children. Many fall down and over the wall into the pit of fire and My Heart weeps with sadness for each Child lost. You were meant for Me, to be with Me. Do not leave the path of holiness and goodness to pursue what is temporal and cheap. Your time here is but a minute, and yet such an important minute still. Children of My Light, do not sin. Do not give way to darkness by compromising with sin. I am not a complex Love. In your Hearts, My Laws are written and intrinsically linked to your Loving Natures. The Nature of Innocence and Love as you were born. The Holy Spirit guides you, so you might know what is just and good and what is dark and of evil. My Children have covered their ears to My Guidance and refuse to see sin for what it is. That is why the enemy of Man gathers Souls to himself like a hungry animal eating flesh. Satan wants to gobble you up or take you away from Me. Thus, listen for guidance and do not fall prey to the ease with which sin avails itself. 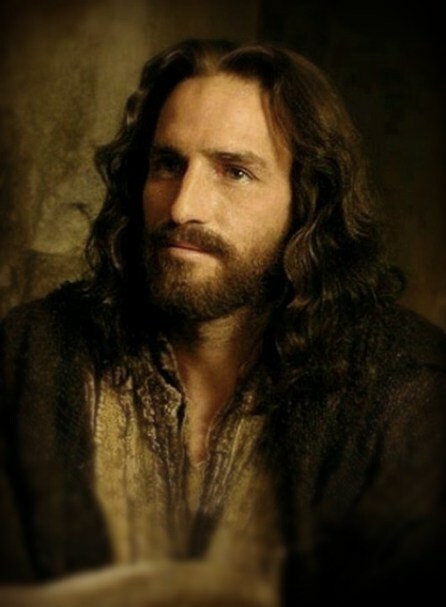 I am the Good Lord, your God and Eternal Father. My Will for you is always good and brightened by the Light of Love. Trust in Me. Even when your life is at its most difficult, consider your cross a blessing. When you are untested by sacrifice and devastation, how can you know the strength of your faith? Belovéd Children, call out to Me and know I am there beside you. Belovéd Children, call upon the Queen of Peace and Light and let Her guide you to My Beauteous Son. She Loves as a Mother Loves and protects you from evil by guiding you to the Christ Jesus who is your Risen Lord. Children, today you see the World lit with blue skies and peace within lands. Tomorrow it shall not be so. Build the strength in your faith and Love for Me now. Know the Christ Jesus and His path for you, and know where you are tested, the Spirit of Light guides you. Regardless of the difficulty, pray and your Heart is warmed and comforted by Love. Belovéd Children, pray for My Servants and pray for the end of My Murdered ones, for this cannot continue. The murder of My Belovéd Little Flowers is the Sin I abhor most of all. My Innocents are blessings that have been cursed by mothers who should have been Queens of new life. Pray, Children, for the doctors and nurses…all those who promulgate this sin are in most danger of hell, and their punishments unbearable. Children, pray for My Servants and their strength in faith. They must not be meek in the face of challenges, in the face of sin. Do not compromise with sin. Let this resonate throughout your days and pray. Belovéd Children, you are My Greatest Loves. Thus, I say, pray. Pray, My Children, and bring Me joy.